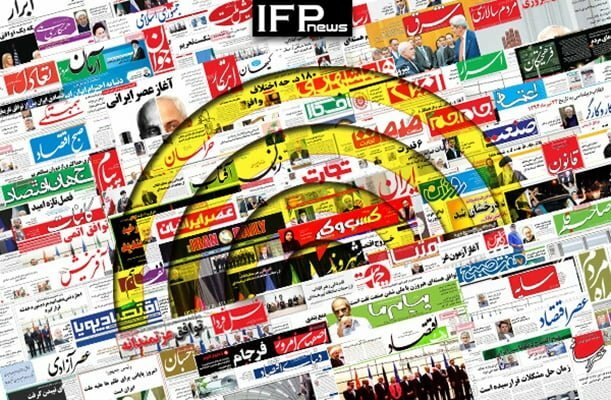 IFP has taken a look at the front pages of Iranian newspapers on Monday, November 5, 2018, and picked headlines from 16 of them. IFP has simply translated the headlines and does not vouch for their accuracy. The top story in all papers today was the nationwide November 4 rallies held in Iran to condemn the US policies towards the country, particularly the sanctions it just re-imposed. Several papers also covered the Guardian Council’s controversial decision to reject a bill on Iran’s accession to the Combating the Financing of Terrorism (CFT) convention, which had been earlier passed by the Parliament. Many reformist papers criticized the timing of the legislation watchdog’s announcement, arguing that rejecting the bill on the day when the US sanctions were to be re-imposed was a gift to US President Donald Trump.